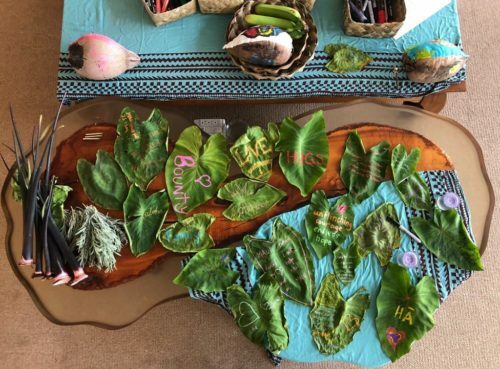 Lehua Simon, local Maui resident and creative artist, will tell the story of the Mālamalama Maui project, a two-year initiative to illuminate agricultural solutions following the close of the sugar factory on Maui. For many generations, the central valley has grown for us and contributed to the lives we live today. It is our common ground, a connection point between one side of the island and the other. The central valley is central to life on Maui. Now that sugar farming has ceased on Maui, the agricultural lands of the central valley require restoration and care. How will we rejuvenate and repurpose the land after 145 years of sugar production? What will become of the central valley now? At this time, the answers to these questions are not clear, and the future is uncertain. vision of the central valley online at https://www.illuminatemaui.solutions! Lehua will explain the creative process of the project by showcasing the media and artwork generated by project participants over time. After reviewing the impact of the project in the community so far, She will reveal the greatest local solution for Maui’s agricultural system.